Each movement from Handel's oratorio that I have re-arranged is treated in a different way. Sometimes there are changes to metre and rhythm, and sometimes the harmony or text has undergone a transformation. Some movements have had their essential elements distilled into a few moments' intensity, and some musical ideas have been expanded and developed along startlingly tangential lines. If this seems like a 'PDQ Handel' send-up of one of classical music's best-loved works, I'd say this is true only in part. 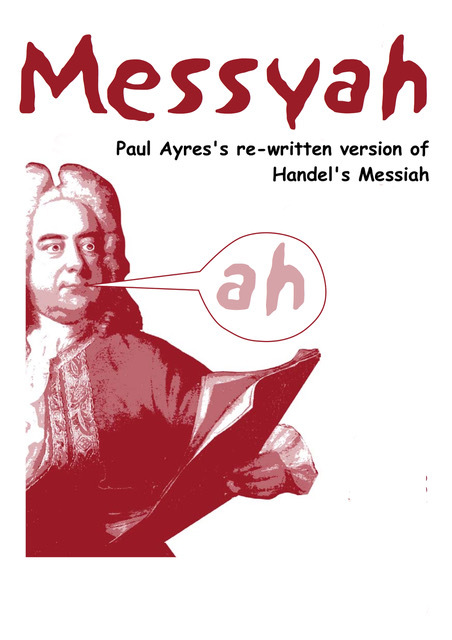 Messyah has been written because I have such a great love for Handel's music – not because I want to ridicule it. Certainly, there may be a few comic moments, but equally there are some thoughtful and considered responses to the text. Every 'straight' performance of Messiah is different - the sound of Sir Thomas Beecham's 1957 recording is worlds away from William Christie's of 1994, for example - and I would just say that Messyah is 'differenter' than most.